Aberoum, A. (2010). Comparison of Proximate and Mineral Composition Between Asparagus oficinalis and Momordica dioica: Iranian and Indian Vegetables. 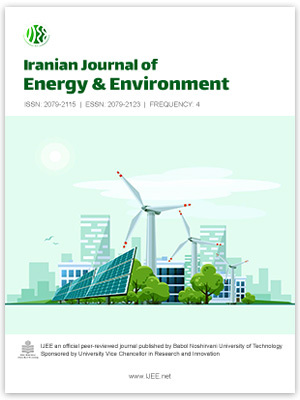 Iranian Journal of Energy and Environment; previously called: Iranica Journal of Energy & Environment, 1(3), -. Ali Aberoum. "Comparison of Proximate and Mineral Composition Between Asparagus oficinalis and Momordica dioica: Iranian and Indian Vegetables". Iranian Journal of Energy and Environment; previously called: Iranica Journal of Energy & Environment, 1, 3, 2010, -. Aberoum, A. (2010). 'Comparison of Proximate and Mineral Composition Between Asparagus oficinalis and Momordica dioica: Iranian and Indian Vegetables', Iranian Journal of Energy and Environment; previously called: Iranica Journal of Energy & Environment, 1(3), pp. -. Aberoum, A. Comparison of Proximate and Mineral Composition Between Asparagus oficinalis and Momordica dioica: Iranian and Indian Vegetables. Iranian Journal of Energy and Environment; previously called: Iranica Journal of Energy & Environment, 2010; 1(3): -.